Ovega-3 is an all-vegetarian/vegan DHA+EPA Omega-3 supplement from a safe and naturally sourced plant (algae); not fish. 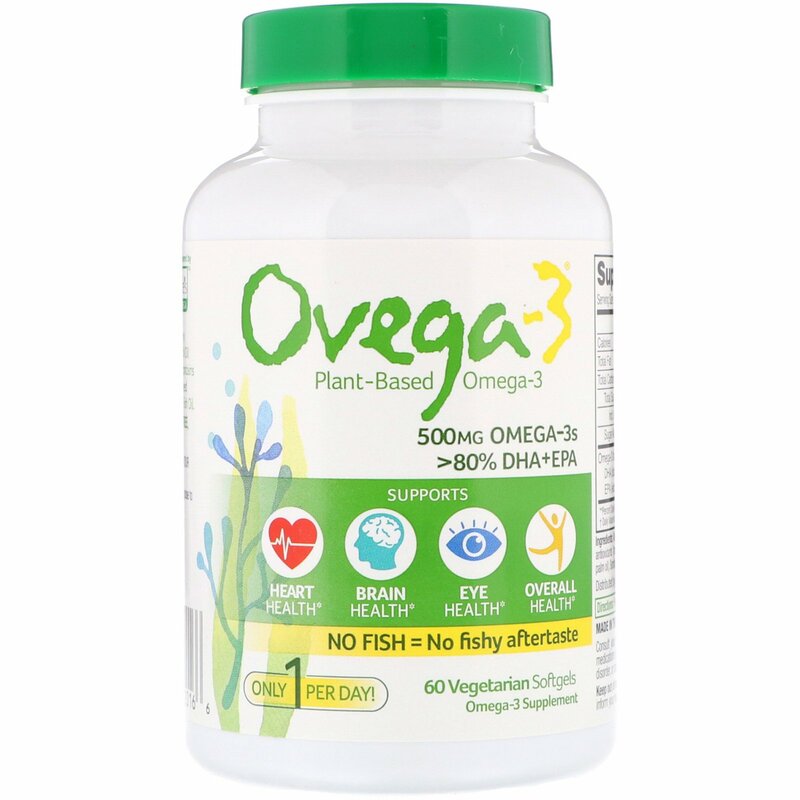 Ovega-3 contains 500 mg of Omega-3s in every softgel, higher than most high concentration Krill Oil options in the market†. And because Ovega-3 contains DHA+EPA Omega-3s (not found in flax or chia seed oils), it provides a true vegetarian alternative to Fish Oil. 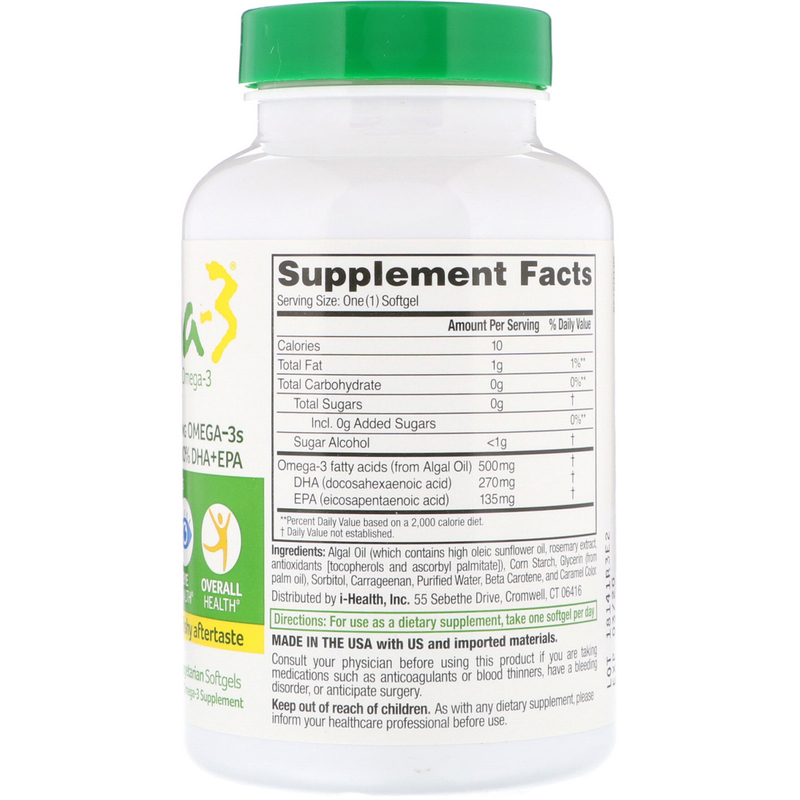 Ovega-3 is GMO-Free, gluten-free‡‡, soy-free, lactose-free and sugar-free‡. †vs. leading krill oil brand based on Nielsen data. ‡Not a reduced calorie food. Algal oil (which contains high oleic sunflower oil, rosemary extract, antioxidants [tocopherols and ascorbyl palmitate]), corn starch, glycerin (from palm oil), sorbitol, carrageenan, purified water, beta carotene, and caramel color. Storage Conditions: Store at room temperature. Do not expose to excessive heat, humidity, or direct sunlight.